Lyttle has worked alongside commercial property owners and managers since we went into business in 1947. Drain cleaning is something we do multiple times a day in multiple situations – there’s nothing we can’t unstop! Whether it is an emergency situation, or a commercial drain maintenance call, we are able to provide you with quick service. 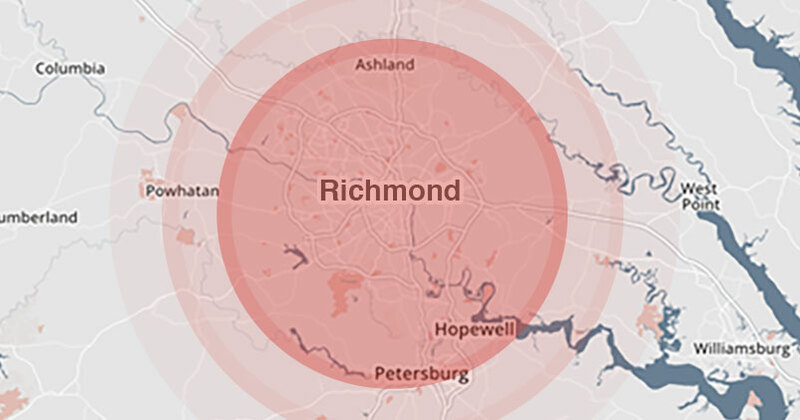 Many of our customers have relied on us for years, and across multiple commercial properties, because we have some of the most skilled and experienced service technicians in the Richmond, Virginia region. These are the PVC (in most cases) pipes sticking out of your roof. Sometimes leaves or other plant material can get stuck in the vent and instead of your plumbing fixtures using fresh outside air to equalize, the air in your sewer is used to fill the vacuum created by the various fixtures around your home. When a septic tank goes years and years without regular tank cleaning and maintenance, sludge builds at the top and bottom of the liquid stored in your tank. This is very bad for your system for a number of reasons. First, the scum layer at the top of the liquid can make its way into your drainfield and solidify along the drainlines. Once this happens, your drainfield stops working and cannot be repaired. Second, the lower scum layer reduces the amount of effluent in your tank, forcing the top layer of scum to rise up and over the outlet tee. This, once again, introduces solids to your drainfield which will eventually cause it to fail. Third, a tank with a thick scum layer can sometimes clog the influent side of the tank, causing a sewage backup into the home and potential water/sewage damage if not noticed immediately. An obstruction in the line caused by a buildup of pressure between an object and the inner circumference of the pipe. An example is a diaper stuck in the sewer drain line. There is simply too much diaper to fit through the line at once! A collapsed or separated sewer line – this may go unnoticed for longer than most people think. Over time, the sewer line may collapse entirely. Learn about our trenchless pipe replacement and repair [link] to find out how to reduce your repair costs by thousands of dollars. We typically work a drain from the most simple to the most aggressive resolution. You can call it drain blockage triage… To do this, we employ sewer snakes up through cutter heads that mount on a high-pressure jetter hose. If the blockage cannot be removed by mechanical means, we have the ability to pinpoint the blocked location and remove by surface excavation only if absolutely necessary. In all cases our work is done in a tidy, clean manner to minimize disruption to the core facility operation. Our forces have experience working blockages in all types of locations: food preperation companies, pharmaceutical manufacturing, industrial manufacturing, grocery stores, fast food restaurants, and more! We offer the following services on a periodic scheduled basis to prevent a sewer blockage from happening. Nothing can prevent occassional blockages by 100%, but performing regular preventative maintenance can significantly reduce costly emergency situations. Please contact our office for details on each term or scope contract. Sewer water moving into your house can be an extremely stressful experience. When a toilet gets clogged or a sink won’t drain, call us to get things flowing again. We have technicians on-call all day every day just in case the inconvenience of a sewer clog doesn’t happen during convenient business hours (they rarely do!). Call us at 804.232.6774 Monday-Friday, 8am to 4:30pm to get started with our drain cleaning service. If you need emergency help, we are available after-hours at 804.641.5942.